It is not too good to be true! This lovely single-family townhouse offers three-bedrooms, 2.5 baths and an extra deep backyard for the price of a two-bedroom apartment! 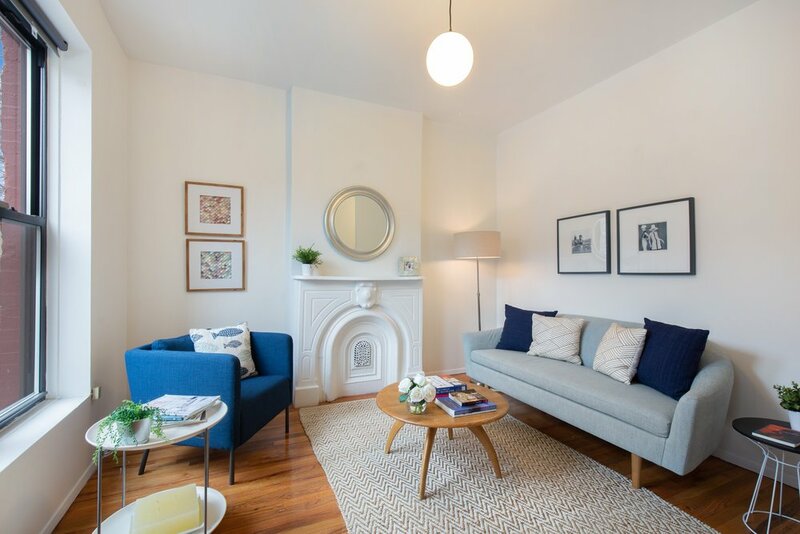 On a quiet, picturesque tree-lined block, 2.5 blocks from the Gates Avenue J/Z trains and a short jaunt to the A/C trains at Utica, 712 Monroe is incredibly sweet “as is,” but with an additional 1000+ square feet of FAR, could become your dream home. On the parlor floor you’ll find the living room with the original marble mantel and the eat-in kitchen. 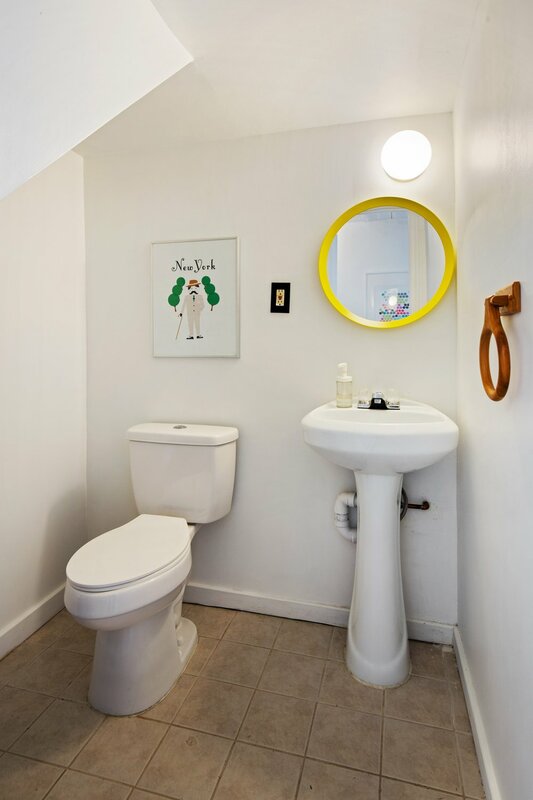 Up the center staircase, both bedrooms are well-proportioned, while on the garden floor you’ll find a third bedroom, a full bath and a large laundry room. The backyard offers tons of space for gardening, dining, and entertaining. Surrounded by great restaurants and nightlife including The Wilky, L’Antogoniste, Toad Style, and Chez Alex, to name a few, the location is great. Incredibly low taxes as well!